Are the Plaice back on Chesil yet? Good news, the Plaice have started to return to Beaches all along the South Coast after their winter spawning. I was pretty sure that they would start to show in numbers towards the end of this week, but it seems I was a week out on my forecast, as quite a few were caught at the weekend. I had several mates that fished at Abbotsbury and West bexington. They all managed a few Plaice each, though none were of any size. The Plaice use the big tides to move around, so this weekend coming should see a lot more arrive. The downside to big tides is that the Plaice will normally only feed during the slack periods. On medium tides they tend to feed for a much longer period. During a trip out with Lewis Hodder from Lyme Bay Charters members of Lyme Regis Angling club, managed to boat 78 Plaice between them. 13 year old Rowen Tyte managed 25 of those herself, including a 2 1/2lb one pictured below. If I caught 25 Plaice in a year I would be delighted. I will be going out this week in search of a Plaice or two, and I am pretty sure that the beach will be packed at the weekend. So make sure you order your bait from your local tackle shop in plenty of time. I will be releasing a number of shot articles throughout the week on tips and tactics for Plaice. It wasn’t just Plaice that Chesil produced last weekend. 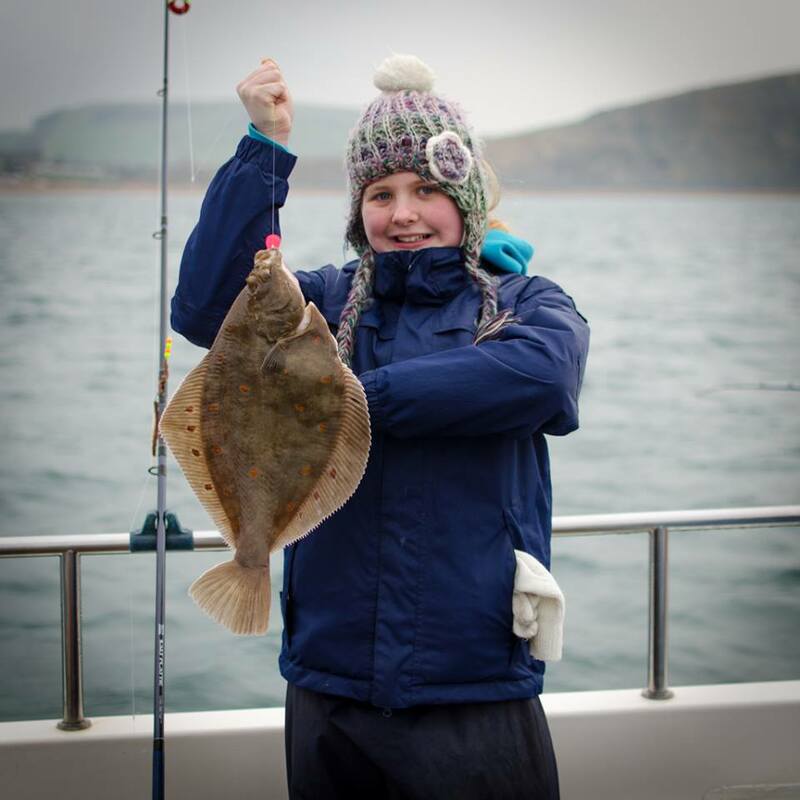 Rich Pauffley-Breare fished a mark at the Portland end of Chesil with his mate, and managed a couple of nice Undulate Ray. Both caught on a single 4/0 Pulley Rig. The first took a Sandeel bait, and the second went for mackerel once it went dark. Chesil Beach: Small swell and clear water. Chesil Beach forecast: Amazing how quickly it can all change. One minute we are scratching around for small Whiting and Rockling, the next we are all excited about the Plaice coming in. If it is Plaice you are after then you really need to be fishing the Western end of the Beach. Marks from Abbotsbury to Cogden are normally the best ones to choose. Cogden is only for the fit, as the walk back up the hill is a killer. As this weekend proved the Rays are starting to move back in, so a trip down the Portland and Ferrybridge end may well be worth a try. Portland: Pollock fishing should pick up towards the end of the week as the tides pick up. With the water temperature starting to increase, then more Wrasse will move in. They will be hungry, so some good sport is possible. Portland Harbour: Still pretty quite in the habour, but a few Flounder are being caught. Weymouth Bay: It was my plan to target the Thin Lipped Mullet at the weekend in the harbour. Unfortunately when I went looking for them, the conditions had changed a lot. The water in the harbour was very coloured, suggesting that a lot of fresh water had come down from Radipole lake. This has opened the sluice gates allowing the Thin Lipped Mullet to enter the lake where they will spend most of the summer. Don’t worry more will be on there way. The piers will produce plenty of small fish, but there is always the chance of a decent Wrasse or Pollock. 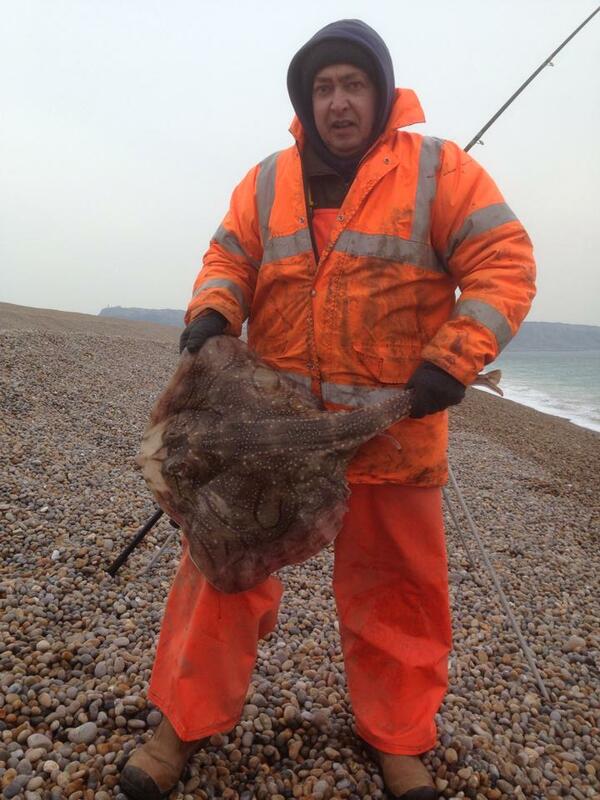 Fishing Tails > All Articles > Reports > Chesil Beach > Are the Plaice back on Chesil yet? 6 Responses to "Are the Plaice back on Chesil yet?" Many thanks for your articles, which I throughly enjoy reading, having recently returned to fishing after a Hugh gap, now due to retire @ 60 something ! I am sure you will catch a Cod later this year. I like your site, and have viewed it frequently. Is there any chance of having more info about the western end of Chesil? I live in Chard and would like to see more info and reports about Lyme Regis, Seaton and areas around them. I really don’t know whether the lack of reports are due to those marks being terribly poor and not worth commenting on, or whether they are simply under-reported. Any response on this would be welcome. I do some reports on Lyme and they should be more frequent this year, as Darren from the Tackle Box in Lyme has and will continue to provide me with some reports. However the other marks are so far unreported on, because I cant get there easily. However I hope that is going to change as I know have a contact in Seaton. Fished Seaton the other night From 2000hrs until 0300 hrs. It was relentless with dogfish and at some good sizes too. fished a 4/0 pulley rig using different baits, sandeel, mackerel fillet and squid and rag cocktail. it was so relentless i actually stopped fishing for half hour at one point just so i could relax. The tide didnt seem to matter either as i fished it all the way through. Glad you had a good session. THe fishing does seem to have picked up a bit.